“Hardy” is a term that gets thrown around a lot, usually without much explanation. 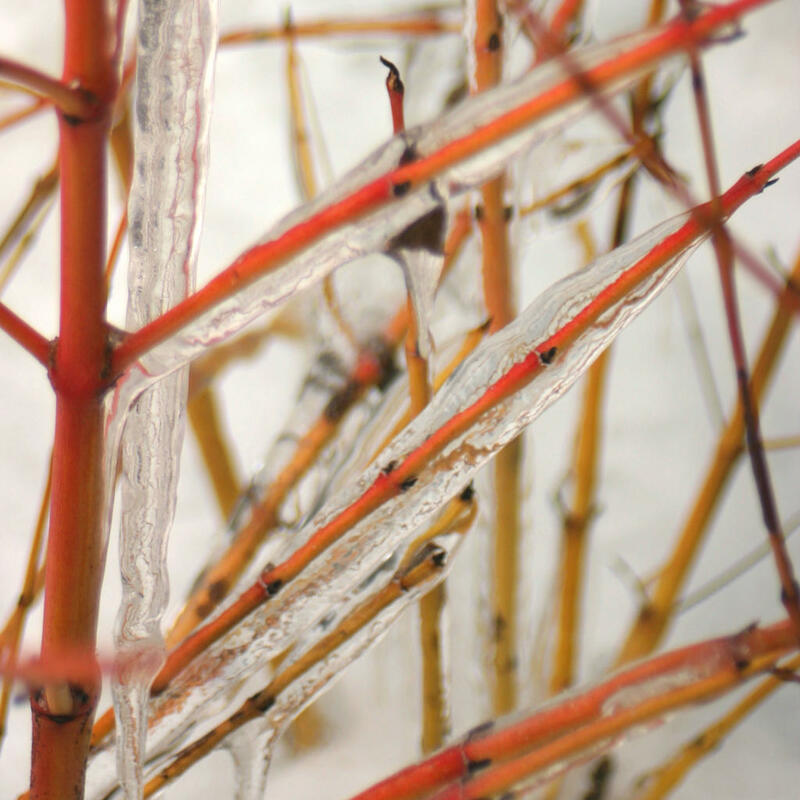 A plant’s hardiness describes how cold the temperatures can get before the plant suffers severe damage or even dies. This is based on the climate in the area the plant is native to, and on observations from gardens around the world. To quantify this information for North American gardeners, the entire continent is divided into numbered zones based on the average lowest temperatures observed in an area. There are 11 zones total, with zone 1 the coldest (lowest average temperature -50 F/-45.4 C) and zone 11 the warmest (lowest average temperature 40 F/4.5 C). You can find your hardiness zone here on our website (look to the left! ), or from the USDA website, and you’ll find a plant’s hardiness zone on its tag if it is a perennial, shrub, or tree. Annuals do not get hardiness zones, since they do not live through winter anyway. 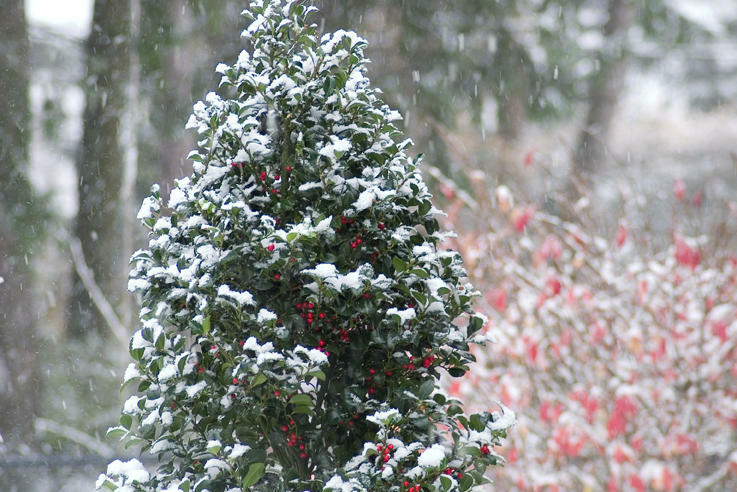 Any plant that is hardy to at least your zone ought to survive winter in your yard without any special care. 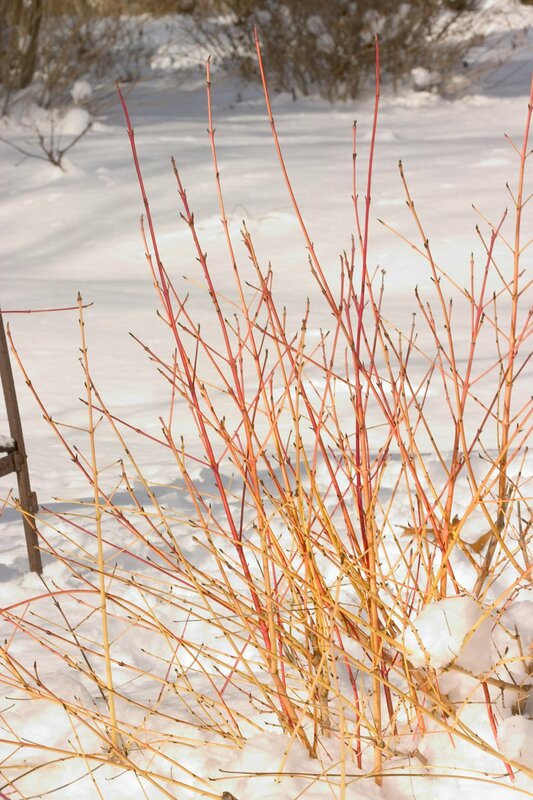 You can select plants that are hardier than your area (i.e., have a lower number for their hardiness zone) but not those that are less hardy (i.e., have a higher number). For example, if you live in zone 5, you can count on plants hardy to zones 1,2,3,4, and 5 surviving your winters, but not those in zone 6,7,8,9, or 10. Of course, there is a difference between merely surviving winter and thriving in spite of it. We planted this tree/bush in early October. We live east of Syracuse, NY. Does this tree need to be protected by burlap through the winter? No, it will be just fine in your climate - in fact, it can easily grow in even colder areas. Just a good 2 or 3" layer of mulch is all it needs. I have a butterfly bush that was a gift when my mom passed. She loved butterflies. It is doing fairly well and is in a pot not the ground. I live in Pittsburgh PA. Is there a way to winterize this outdoors It is heavy. If not can it be brought indoors? I would not recommend bringing it indoors - it will do better outside. You can keep it in its pot, but make sure it is in an area where it will stay dry, especially when the weather is cold and the soil isn't frozen - late autumn and early spring. And do not prune it until spring, after you see new growth emerging. Me and my husband have planted lilac bush and yellow roses the spring and now it's getting cold how should we take care of them in the upcoming winter? 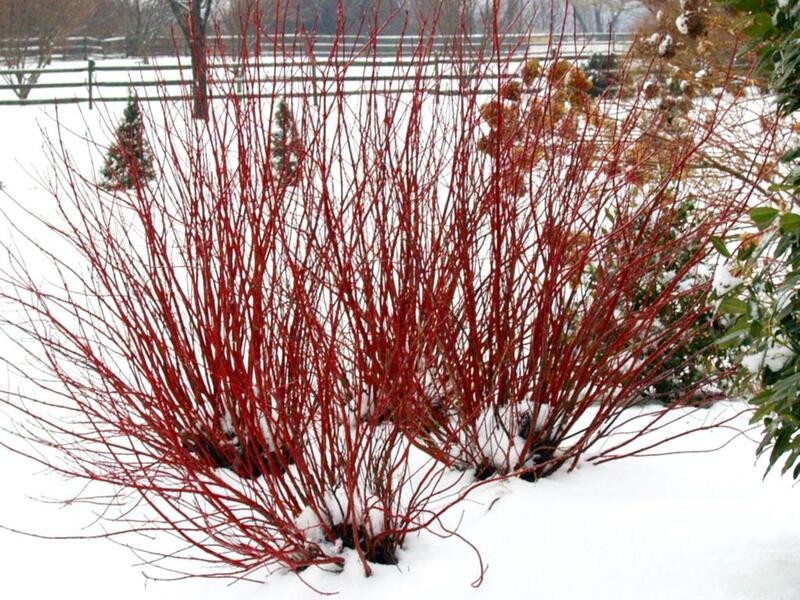 As long as the plants can survive winter in your climate, you don't need to worry much about them over winter. Just a good 2-3" layer of mulch over the roots should be sufficient. Early October is a bit too early to cover evergreens, as they are still growing. 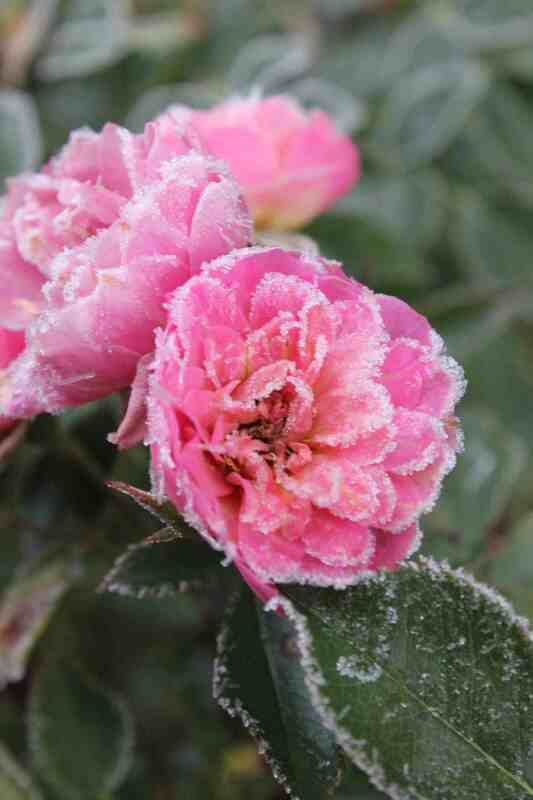 You should wait until there have been a few frosts and plants are completely dormant - probably mid to late November. Fern Leaf Buckhorn in a container outside during winter? I want to plant my Fern Leaf Buckhorn in a large container and leave it outside for the winter. Can I do that or will the roots freeze and die? I am in a Zone 3 area for winters. You'll really need to protect the roots during the winter, and you'll want to keep it where it is getting less sun, as it's the freezing and thawing that does damage. Thanks for your message - this is kind of a difficult situation. Most of the time, plants should not require any winter protection as long as they tolerate winter temperatures in your area. Most plants can handle normal snow loads and any breakage that does occur can be remedied in spring. In short, I'd recommend not doing anything special, like building a shelter. If the snow is light and fluffy, go ahead and shake it off the plants with a broom. If, however, it's icy, leave the plants alone. We understood that we should mulch these plants but the question is do we cut existing flowers off or in fact cut the plant down? Do not prune your bigleaf hydrangeas. They develop their flower buds on old wood, so if you cut them back, you will remove next year's blooms. To protect the buds over winter, you may want to add extra insulation by making a wire mesh cage around your plants and stuffing it with dry fall leaves, paying close attention to the tips where the buds are located. This can be removed in March when the plants begin to break dormancy. 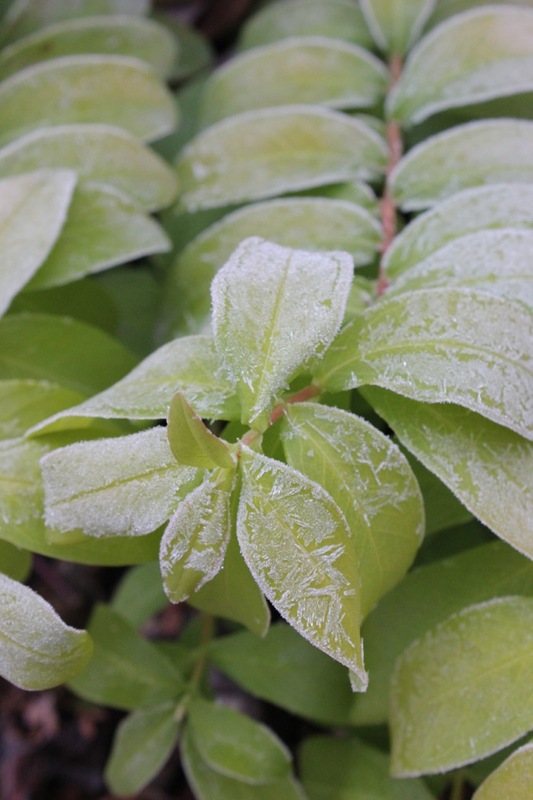 Spring weather can also harm flower buds, however; on nights when a frost or freeze threatens, tuck an old blanket around your plants. This will protect the it from the cold, and you'll be enjoying your hydrangeas comes summer. Planted in spring, facing south, lots of sun. leaves are browning and drying. want to protect against Calgary winters. What do I need to do? Do I need to trim back.? Also planted Minuet Weigela, which also seems to be having leaves drying up and also did 2 Potentilla shrubs. All these plants were planted last week of May, under the roof over hang which is 3 1/2 feet deep. Watered regularly and gave Miracle grow fertilizer , have already had frost in Calgary. Would hate to loose these plants. I am a Senior and daughter came from east and planted all my shrubs making a beautiful front to my home. Thanking you for any tips I could use. , M.
1 - do not cut your plants back or trim them. That will remove next year's flower buds. 2 - do not fertilize your plants any more. Woody plants should not be fertilized after late July, particularly in a cold climate like yours - doing so pushes soft growth that is more likely to be damaged when your first frosts hit. Don't panic if you fertilized later this year, but in the future, don't fertilize after mid-late July. Shrubs don't need high amounts of fertilizer anyway. 3 - do keep watering until your ground freezes, especially if the weather is dry. Even when autumn comes along, plant roots continue to grow. 4 - if you haven't already, put down some mulch around the plants. I suspect that these plants will leaf out, happy and healthy, come spring, so don't panic. We are in Zone 3 (southern Saskatchewan). We planted your hydrangea in August. They've established well; just a bit of the wilting you would expect to see while the plant finds it's roots. I'm wondering whether I need to do anything to protect the plants from winter cold and snow. I'm not pruning the plants. But do I need to cover them? Our coldest temps will be in Dec and Jan, but we can expect consistent below freezing temps from November through February. The answer to your question really depends on which type of hydrangea you planted. Being that you are in zone 3, I'm guessing that you planted one of the two types that are hardy in your area - panicle hydrangeas or smooth hydrangeas. Since these are hardy for you, the only thing you really need to do over winter is give them a nice layer of mulch to help conserve soil moisture. What happened to "Miss Violet" Butterfly Bush. I purchased two butterfly bushes in the spring of 2016, which bloomed all summer in my Grand Rapids MI area lawn. Now, this spring, they appear to be dead. There is not one green shoot or leaf on them. I am concerned because I was going to purchase 12 more and have a row of them in this 40 foot area. They were mulched in 2016 spring and watered when needed. I enjoyed seeing the butterflies and small birds that visited them. Now there is nothing growing. What happened? Butterfly bushes will easily tolerate winter temperatures in your area, but they struggle with heavy soils that have a high amount of clay. We have several recommendations to be successful with butterfly bush in areas with clay soil here: https://www.provenwinners.com/learn/how-plant/proven-winners-ultimate-guide-butterfly-bush?no_cache=1492018181. Do I need to do anything for them like covering with burlap? They all have either mulch or bark nuggets around them. All of those plants should be fine with just the mulch. Don't cut anything back, though! I planted a 50' row of 5' viburnums to form a privacy fence. What (if any) covering can I build or purchase to protect them from snow wind and ice damage up here I Western NY. Covering the hedge with burlap can help distribute the snowload, but it is going to be a lot of work. You really shouldn't have to worry about it too terribly much, however, as long as the viburnums that you planted are hardy in your area, damage should be minimal. Yes! Try not to worry. The plants lost a good amount of root mass in the transplanting process, no matter how careful you tried to be. As a result, they have more leaf surface losing water than they have roots to take it up and replace it. The result of that is wilting. The plant can withstand some wilting and be just fine, so keep up the TLC, keeping it well watered if conditions are dry, right up until the ground freezes, and covering the root zone with a good 2-3" thick layer of shredded bark mulch. Hydrangea foliage can also be very sensitive to frost, wilting or browning dramatically while other plants simply shrug it off, so there may be a hint of this "drama queen" nature in their reaction too. Last year I covered my hydrangeas with leaves and burlap. All the buds that were growing died. This year I do not see any new growth. missing something. I did protect for spring freeze. I think the buds were dead when I uncovered in the spring. If you have a plant that you want to cover, like a big-leaf hydrangea, it is very important to not do so until the plant is completely dormant. Covering it early can interfere with its health and seasonal cycle. Usually, the cold we experience in October, November, and even through December is not severe or prolonged enough to cause damage to a plant - it's the really cold, icy, and daily extremes of January and February that start to take a toll. You should not cover your plant earlier than mid-late November. Come spring, you should uncover it no later than late March, and possibly earlier if temperatures start to get warm earlier. If you'd like, please contact us here: https://www.provenwinners.com/feedback and select "shrubs" as the category. I'd be happy to chat more with you directly and give you specific advice based on which plants you have and where you are located. Should a small lilac be tied together over winter? I planted a Bloomerang Lilac this year in an area that might get some serious snow press (which will only be a problem while its small). Can I make a teepee and tie the lilac into it, or is it best to just let it bend naturally if it comes to that? Also, should I wrap it (if teepee-d) in burlap or something, or just let the snow insulate it? Lilacs have pretty flexible wood, so they are not as likely to experience a lot of snow damage as something like a butterfly bush or hydrangea. If you'd like to protect it for this first season or two, though, it probably wouldn't hurt - I would recommend simply wrapping with burlap to broaden the surface area that snow falls on and spread the weight over a wider surface. It is spring 2015 here in MN-hopefully!- Our winter of 2013-14 was very cold and we lost several newly planted evergreens that winter. So this year we wrapped the new evergreens after spraying them with Wilt-Stop. We just unwrapped them this weekend and they look terrible! No needles left at all on the two moon frost hemlocks and the Emerald Hemlock is looking pretty sparse. The only one that did well was the boxwood. I'm so sorry to hear that! It's very hard to say without a bit more information, and ideally, some photos. Is there any way you could contact us by sending a message using this form: https://www.provenwinners.com/feedback and we'll help you get to the bottom of it. Where I live in Ontario we have deer that love to eat my sensation lilacs and my Japanese maples. Can I wrap both of these plants in burlap now, even though they still have their leaves. We have already had a light dusting of snow and temperatures are hovering just above freezing but my 6 lilac bushes and 3 maples don't want to shed their leaves. I would like to get this job done before it gets too cold to do it. Yes, you can go ahead and wrap now. Burlap is permeable enough that light and air will still reach the plant . Is it OK to Mulch all plants and shrubs and trees with RUBBER MULCH ?? Thanks so much for your comment. We do not recommend using rubber mulch around trees and shrubs. It does not enrich the soil as a conventional wood chip mulch does, and it has not been demonstrated to keep weeds down as well. Further, it can leach toxic compounds into the soil. You can read more here: http://puyallup.wsu.edu/~Linda%20Chalker-Scott/Horticultural%20Myths_files/Myths/Rubber%20mulch.pdf. I hang moth balls or the hard hangers from tree's and throw them at the base of both. Deer and rabbits seem to hate them, costs a few bucks for large boxes of moth balls and takes maybe a half hr to put in nylons, and distribute but haven't had a problem since started it. I do pick up the ones that are by patio areas in spring, and then put in snake or other rodent holes. Hello, I have several plants in my pond ranging in size from inches to gal size. All are doing great. Many have been divided over the summer months. I also have few goldfish. In the past I do a full clean before winter hits so the fish can adapt to the change. I also get all the dead leaves, rocks dirt and pine needles that tend to show up out of the water. I then add stuff to water to help protect fish. However, not sure about the pond plants. Should they just stay in the water and then firtize, prune, and repot in spring or do now? I planted my butterfly bush this spring in a 24 inch resin pot and would like to keep it there. What do I do this winter here in SW Michigan (zone 5, I believe). It was a beautiful plant and I would hate to lose it. I would add to look up/research any roses.Many the zone may say lower ,because the plant is hardy but the canes are another story.I treat my zone 5 climbers and roses similar to hydrangea. Both get a pine needle base around the outer edge.The hydrangea( even my re bloomers) get leaves on the inside.Any roses not protected by evergreens get bur lapped. Past winters I've lost some great arborvitae due to drying winds. I had watered and mulched but they just couldn't take it. This year I bought much larger specimens, but still, I am afraid if I don't protect them somehow they will dry out and die. What are your thoughts on this? I'm in the Cleveland, OH area, zone 6b. Wind burn can be an issue on evergreens, especially if they are planted later in the season. Ideally, evergreens should be sited with some protection from prevailing winter winds. If this is not possible, try installing a windbreak of burlap or apply an anti-dessicant, like Wilt-Pruf. What about boxwood in zone 5b? It survives winter but the outside leaves freeze or burn and it takes half the summer to recuperate. They are sprayed with winter protection in the Fall but it doesn't help. Evergreens can suffer from wind burn and desiccation in areas with harsh winters, even though the plants are technically hardy. Winter protection sprays, like Wilt-Pruf, may need to be applied more than once in a season, especially if there is a lot of rain. The product should thoroughly coat both the upper and underside of the leaves, with a special focus on the underside for most evergreen trees and shrubs, as this is the greatest moisture loss occurs. This can be tricky on boxwood as you need to spray upward, and most sprayers aren't that effective used this way. But you left out the most important info we are all looking for....how to protect our shrubs, especially the new ones from animal damage. My shrubs are almost destroyed every year by rabbits. You are absolutely right! Animal damage is a real issue for many people. I will write an addendum and update the article. Thanks so much for your excellent suggestion. spirea, potentilla, lirope, butterfly bush, knock out rose bush, sedum; do any of them need to be pruned? I've done it in the past but it's alot of work and I'm wondering...is it necessary? They all come back beautiful as ever but do I or should I do it? Butterfly bush should be pruned in spring, just as the new growth begins to emerge. You should prune very large butterfly bush hard (down to just 2-3 large healthy buds at the base of the plant), but smaller varieties like our Lo & Behold series can be pruned much more lightly. Knock Out rose (and all landscape roses) should also be pruned in early spring, just as the new growth begins to emerge. You can prune severely or lightly, depending on the age and vigor of the plant. Just be sure to cut back to big, healthy buds - small buds produce small growth. Spirea and potentilla do not strictly require pruning, unless they begin to look scraggly. Prune spirea after it flowers and potentilla in early spring. Liriope and sedum are perennials - sedum usually loses its stems naturally when winter comes, eliminating the need for maintenance pruning, but some gardeners do like to cut back tall types (like 'Autumn Joy') in late spring to encourage more compact growth. Liriope should be cut back in early spring, before the new growth points begin to appear at the ground level. Pruning it at any other time will give the tips a funny jagged appearance. The important thing to understand about pruning is that if you are happy with your plant's performance, there's no need to prune! If your plant begins to get overgrown, scraggly, or flowering decreases, then you may want to plan to prune the following season. been in a draught stage for 3 years now. The shrubs are about 5 years old and finally growing more. They have been healthy so far. Hi Nancy - when you mulch, it is a good idea to keep it a few inches away from the actual "trunk" of a tree or a shrub. This is because mice and voles may shelter in the cozy mulch, and if food supplies become scarce, they may gnaw on the plant, which can cut off its circulation and kill it. So you should apply mulch, but don't leave a heavy mound of it right up near the plant's base.